UPDATE: Congress renews Zadroga 9/11 Health & Compensation programs. This week, we achieved a major victory in the decade-long fight to stand by our first responders who answered the call of duty on September 11th — and to ensure Congress fulfills its moral obligation to provide our 9/11 heroes with the health care they deserve . Congress has passed legislation to renew the World Trade Center Health Program for 75 years and provide a five-year, fully funded renewal of the September 11th Victim Compensation Fund. Learn more about this great news here. 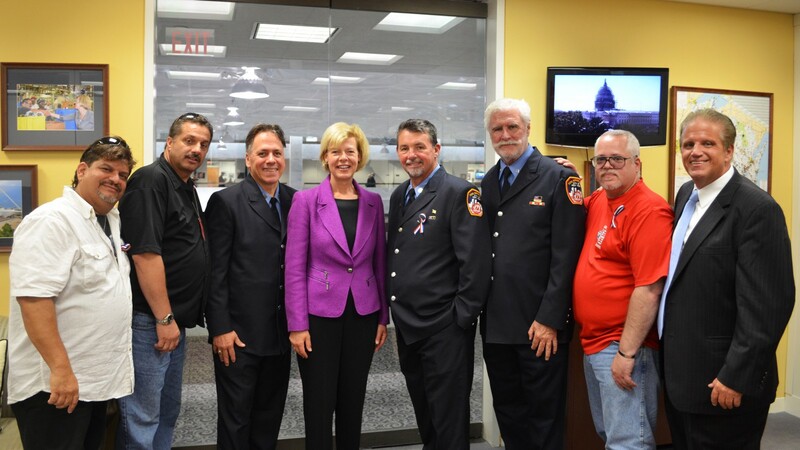 Senator Gillibrand’s post, Making Health Care For Our 9/11 Heroes Permanent, is completely right: It’s time to pass the bipartisan James Zadroga 9/11 Health and Compensation Re-Authorization Act. 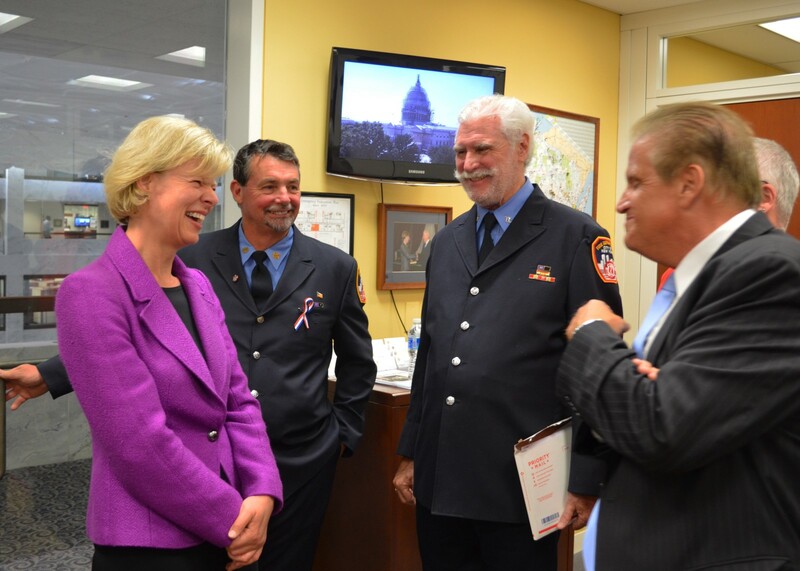 Yesterday, a group of firefighters stopped by my office. They were tired after a long day of walking the halls of Congress. 14 years ago, on September 11, 2001, these same men were first reponders to the terrorist attacks that cost the lives of thousands of Americans. They rushed towards Ground Zero, putting their lives on the line to save as many people as they could. Their actions were heroic — and they must never be forgotten. However, these men found themselves in Washington, D.C. this week, asking members of Congress to support commonsense legislation to permanently extend the 9/11 health and compensation programs. Joined by Jon Stewart, more than 100 first responders spent the day lobbying for a bill that must be passed, immediately. Funding for the World Trade Center Health Program is set to expire at the end of the month. The James Zadroga 9/11 Health and Compensation Re-Authorization Act, led by Senator Gillibrand, would permanently extend programs to provide our heroes and their families the care they need and deserve. As a member of the House of Representatives, I was a cosponsor and strong supporter of this legislation. I voted in support of the bill in both the House Judiciary Committee and the House Energy and Commerce Committee, as well as supporting it three times on the House floor. And I strongly and proudly support it still to this day. These first reponders risked their lives over 14 years ago, but now they are battling serious health crises resulting from exposure to the toxins at Ground Zero. More than 33,000 9/11 responders and survivors have an illness or injury caused by the attacks or their aftermath, and over two-thirds of those have more than one illness. Many are disabled and can no longer work. They are suffering from a host of chronic diseases: asthma, obstructive pulmonary disease, gastroesophageal reflux disease, cancer and many more, caused by exposure to toxins and carcinogens at Ground Zero. But that has not broken their spirit. The group of 9/11 first responders who visited me are not known for giving up — and they don’t plan on giving up on this fight to get the healthcare they most certainly deserve. Their courage and energy is inspirational. I’m proud to continue the work we started years ago standing up for 9/11 first responders and survivors. It is vitally important that we take action to permanently extend these programs so our 9/11 first responders and their families continue receiving the care they deserve. United States Senator Tammy Baldwin. Proudly working for the State of Wisconsin.